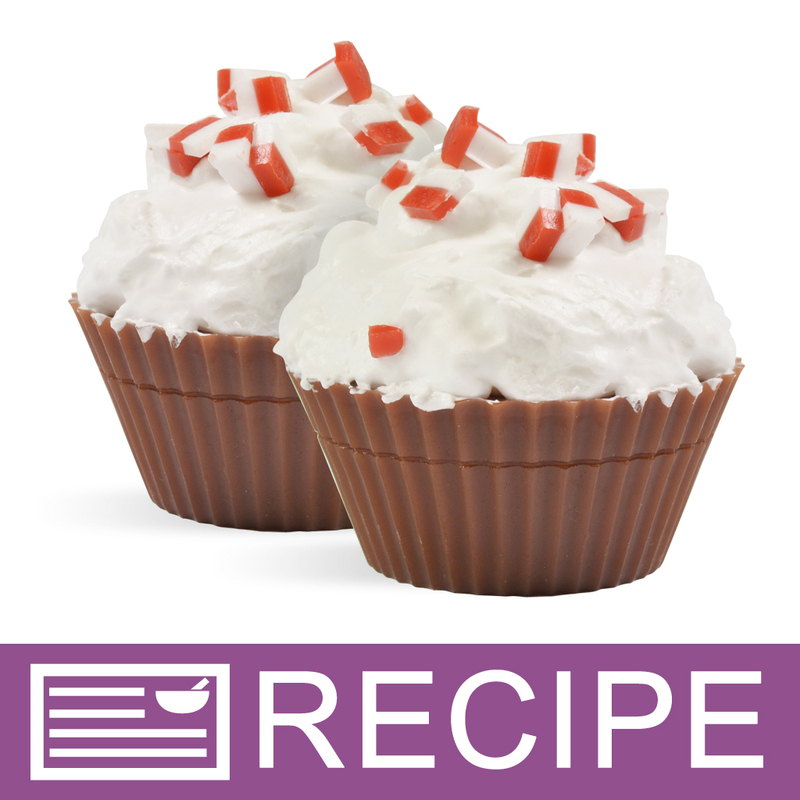 Enjoy this peppermint cocoa smelling soap cupcake around the holidays. These cupcakes may look and smell good enough to eat, but they’re soap! The cupcake base has a chocolaty aroma while the fluffy frosting looks like marshmallows. Add these to your holiday product line or give them as cute holiday gifts! You Save $23.30 by purchasing this kit rather than buying the items separately. COMMENTS: I'm new to soap making (inspired by my 11 year old daughter. She wants to make handmade soaps and giveaway to her class and teachers etc). This was NOT what I expected. Being that I am a first time soaper and this is new to me, I ordered this kit, followed the instructions and tutorial, and man-oh-man. Everything turned out soooo beautiful. Very good! I expected my daughters and I was going to make a disaster out of this, but we didn't. Turned out very good and I shared it with my online friends. Everyone is so proud and I am proud of us too LOL. Thanks so much WSP. We love it! I am addicted now. "Will the foaming bath whip get solid and hard enough to package?" Staff Answer Yes, the frosting will get hard enough to package. It may take a few days to harden and the temperature and humidity may affect your results. If your frosting does not firm up you can re-melt it and add either beeswax or Stearic acid to produce a harder soap frosting. Please feel free to call customer service for further assistance.